I’ve finally begun querying agents, having done everything I possibly can to perfect my novel. This is the novel I began writing in 2011, finished in 2016, and have been editing and rewriting for over two years. It’s been through five beta readers and three rewrites. And now it’s ready to go out. This is the hard part. Querying is a daunting task. First you have to write the query letter, and good luck finding consistent advice on what to include and in what order! Some sources suggest opening with an introduction, including the title, genre, and word count of your book. Others suggest diving right in there with a hook. Some emphasize the importance of listing “comps,” meaning comparable titles. This is supposed to help the potential agent or publisher identify the marketability of your book based on the success of similar stories. Others say comps aren’t that important. I chose to dive right in with a hook. I begin with a provocative question (which is really a Bible quote), then continue with two paragraphs summarizing the plot. My third paragraph gives the title and word count. The fourth paragraph includes a brief bio and my publication credits. I end with common courtesy. I decided to do it this way after reading a number of examples of query letters that worked. I’m a member of the Women’s Fiction Writers Association, and they have a section that helps aspiring authors. It includes advice on querying, pitching, even suggesting some agents. And they provided examples of query letters that worked for some of their members. Who can find a virtuous woman? For her price is far above rubies. That’s what Hope was taught to believe, anyway. But when her mother dies in childbirth, fifteen-year-old Hope must take over raising and homeschooling her ten younger siblings while keeping her father’s house. Her family’s religion teaches that women are happy and fulfilled as helpmeets and mothers, but all Hope feels is exhaustion, frustration, and despair. Her only chance for escape is courtship and becoming a helpmeet in her own right. But after her father’s disastrous second marriage ends in divorce, Hope is forced to give up her dreams of having her own family and remain under her father’s authority, instead. As she and her siblings grow into adulthood, Hope watches her family disintegrate on the altar of faith. By the time she’s ready to abandon her father’s religion, however, she discovers that a lifetime of submission has compromised her ability to claim independence. Told from the perspective of Hope, her father, and the woman who becomes her stepmother for a short time, Virtuous Women reveals the darker side of patriarchal Christianity and the high price paid by women who have no choice but to be virtuous. It is complete at 109,000 words. I am a former parish pastor and have served congregations in four states. Several of my sermons have been published on DesperatePreacher.com, and I’ve had an essay published in Chicken Soup for the Soul: Miracles Happen (2014). 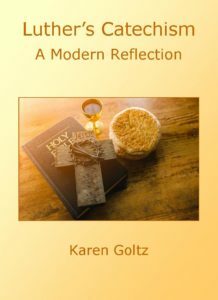 Last year I self-published a nonfiction book entitled Luther’s Catechism: A Modern Reflection. I also homeschool my two children. Between homeschooling and my ministry background, I’ve had several interactions with the patriarchal Christian community I depict in my book. Per your submission guidelines I have attached [whatever you asked for.] My sincere thanks for your time and consideration. One of the reasons I started with the hook is because my wordcount is higher than recommended for a debut novel. The magic number is usually around 80,000. At 109,000 I’m definitely pushing it. But my first draft totaled nearly 140,000, so I have cut a lot. I wanted to get the agent interested in the story before she ruled it out on a technicality. The bio is less important for fiction writers than nonfiction writers, but I wanted to highlight my personal connection to the material. My novel is steeped in religion, which is something a lot of writers get wrong. I needed to explain why I felt I could do it justice. I left out comps because I can’t really find any. Aside from the The Handmaid’s Tale there hasn’t been a lot of popular fiction written about Christian patriarchy. And I’m not about to claim I’ve written the next Handmaid’s Tale. Of course, this letter is only a template. I’m personalizing each letter a bit, but not much beyond the agent’s name and particular submission requirements. Although I did submit to one yesterday who specified he wanted a single page letter in a specific format. The first paragraph had to justify what was so great about my book, the second paragraph had to summarize the plot, and the third paragraph had to explain why I was the right person to write it. I tailored my query letter according to his specifications. In that one I did mention the success of Hulu’s adaptation of The Handmaid’s Tale as being one of the reasons why this book is so timely. Rather than a possible dystopian near-future, my book is about the living reality of many women today, and it’s not that different. We’ll see if he requests more. Yesterday I sent out two query letters before I ran out of time, and I planned to do more querying today. This morning one of yesterday’s agents emailed a request for the full manuscript and a synopsis. I’m trying not to get my hopes up, but it’s hard. If this agent doesn’t offer to represent me, I hope she’ll be able to give me some feedback I can incorporate going forward. At any rate, at least I know my first attempt at a query letter isn’t totally off the mark! Don't forget to subscribe in the sidebar! Subscribers will receive special offers and announcements!